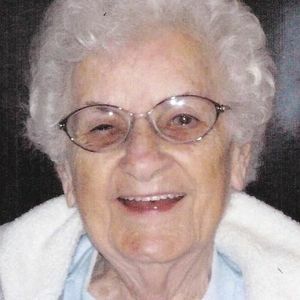 CENTRAL CITY - Mary Francis Gootee, 95, of Central City, died Wednesday, September 2, 2015, at 11:25AM at her home. Mrs. Gootee was born January 20, 1920, in Muhlenberg County. She was a homemaker and of the Baptist faith. She was preceded in death by her husband, William H. Gootee; and son John Gootee. She is survived by her sons, William D. (Delores) Gootee of Newton Falls, OH and Ronnie (Cheryl) Gootee of Central City; five grandchildren; seven great-grandchildren; and sisters Inez Dugger of East Gary, IN and Dixie Creek of Powderly. Funeral services will be Saturday, September 5, 2015, at 2:00PM at Tucker Funeral Home in Central City, with Rev. Leroy Rearden officiating. Burial in Rose Hill Cemetery. Visitation will be Friday from 6-8PM at the funeral home. Online condolences may be made at www.tuckerfuneralhomes.com. Sorry for the loss of Bill and Ron's mom.. Lots of memories. Prayers and blessing to both of you. Both Judy and I are saddened to hear about Ronnie's mother.